Hamburger or Cheeseburger? | gingerbread smiles. Wherever myself and Matt visit we've always got to find a classy burger joint. 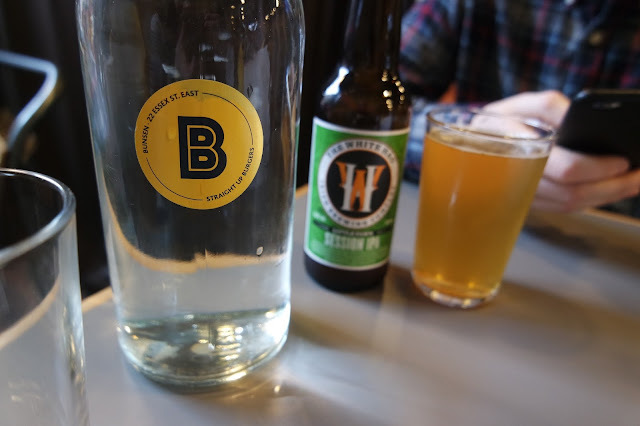 Our trip to Dublin was no different. 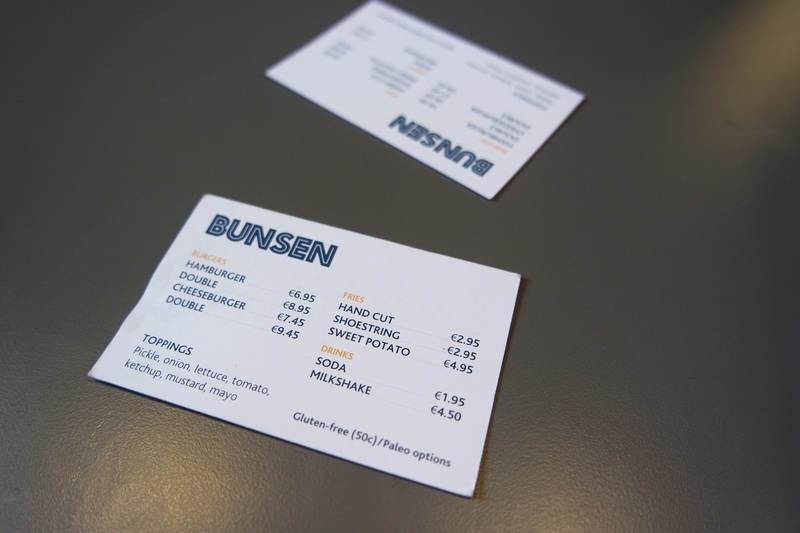 We strolled upon Bunsen in the Temple Bar area when hungry one lunchtime and decided to try it out. The menu is pretty simple, okay very simple. You either want a hamburger with our without cheese, with one patty or two. Oh and do you want the toppings with that? You can pick from their short list of classics. 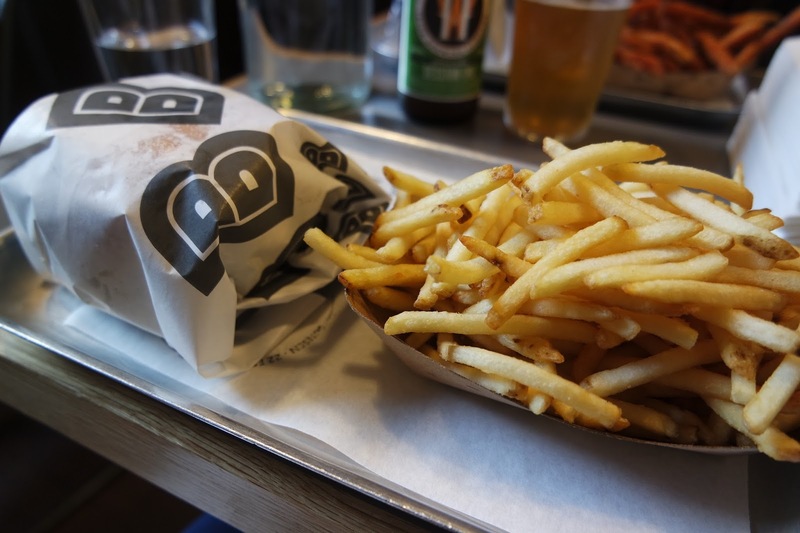 Then you have the choice of fries; hand cut, shoestring or sweet potato. With the business card menus in hand, we placed our order. I chose a cheeseburger with all the toppings bar onions and Matt had a double hamburger with lettuce. We also got some sweet potato fries and shoestring. Our burgers came very swiftly, as you'd expect with a small menu like Bunsen's, wrapped up in their branded paper on a tray with our selected fries. The burger looked lovely. It was everything that I love in a burger; filled to the brim with toppings, covered in cheese and super messy. Matt on the other hand was not so delighted. With no knives and forks in site it was his worst nightmare, but he battled through complimenting the tasty meat patties. My burger was lovely. All the elements worked brilliantly together to produce a great taste. 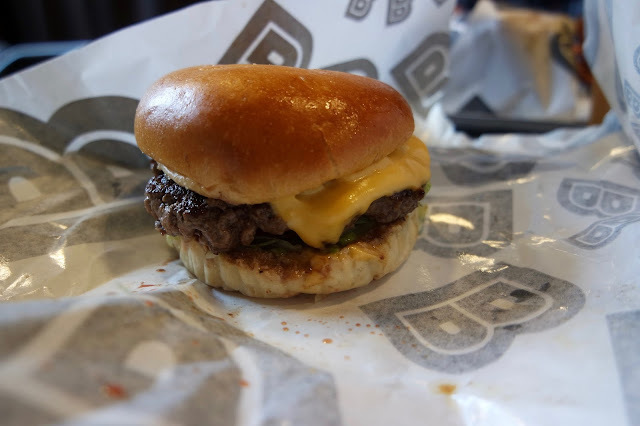 Although I can't go as far as saying it was the best I've ever tasted, it was definitely a good burger. The shoestring fries were a great novelty and they were pretty yummy. With our tummies filled with burgers and chips, we set off but not before washing our grubby burger hands!